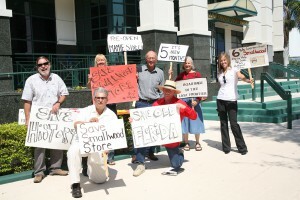 NAPLES — In a stunning victory for Old Florida, historic preservation and the right of Floridians to protect their neighborhoods, Collier County Circuit Judge Hugh Hayes ordered big time out-of-town developers Florida Georgia Grove, LLC (FGG) and its mortgage-holding TD Bank sidekicks to restore public access to tiny Chokoloskee’s historic Ted Smallwood Store and Museum. Any appeals relating to the order must be brought in front of Judge Hayes, who gave FGG/TD Bank little room for a reversal, commenting that all four legal factors necessary for an injunction – the likelihood of irreparable harm, the unavailability of an adequate remedy at law, substantial likelihood of success on the merits and considerations of the public interest – were in Smallwood’s favor. The Judge also ordered Smallwood to post a $10,000 bond against the restoration restoration of the road until the case officially ends. “I fully expect (FGG) to comply with the Judge’s order,” said TD Bank attorney Blake Paul, who emphasized “we didn’t take out any roads or put up any fences. We are just the bank holding the mortgage.” Calls to FGG corporate attorney/spokesman Jim Kelly of Winter Haven were unreturned by press time. Citing Mamie Street’s documented 75 years of public use, Judge Hayes declared a “prescriptive easement,” pointing out the use of the road predated cars coming to the island (1956) and it was the only road one could take to reach the U.S. Post Office (located at the Smallwood Store until the mid-70s). There was also ample evidence, from local citizens and public officials that suggested Mamie had been paved, re-paved and maintained by the county for decades. 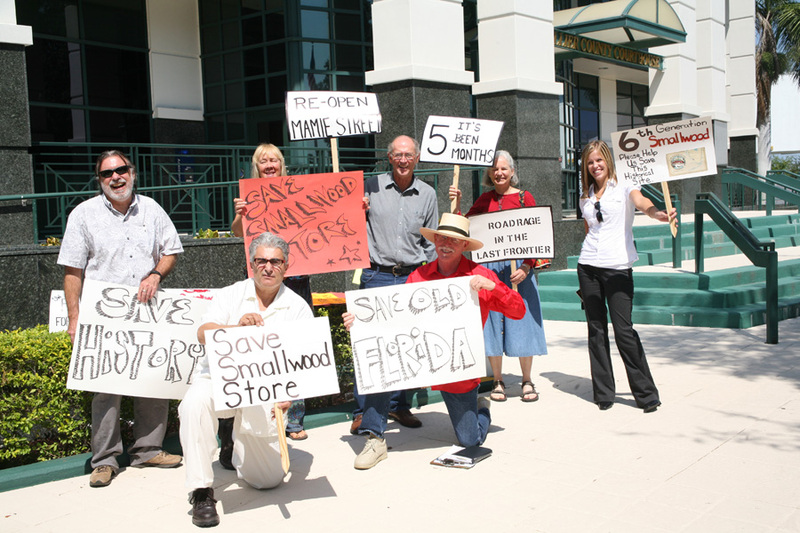 “We were concerned when very few supporters showed up for the first hearings, so we wanted the Judge to realize there was a whole lot of support for the Smallwood Store and Old Florida out here,” said Wisecracker, who has a getaway cabin in nearby Everglades City. 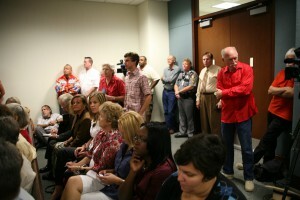 The support was statewide – even Florida storyteller Butch Harrison made his way to Naples from Live Oak near the Georgia line. “Things not lookin’ so good for you today, huh? Oh and hey, when you put back that road, don’t waste your time trying to hire anybody from around here. Nobody gonna work for you.” – Heard in the court house elevator at lunch break on the final day. It was a Chokoloskee fisherman speaking to FGG managing partner Gary Blackman, who did not acknowledge the comment. But one fact was certain. No matter what the development, Mamie Street had to go. 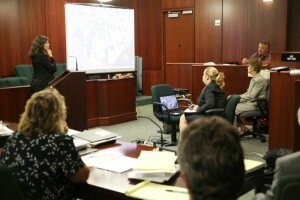 “Any history of Collier County has the Smallwood Store in it,” said county attorney Williams in his closing remarks.